Choosing the right plant for hedges and screens gives lots of people headaches. Evergreen? Deciduous? Fast-growing? Drought-resistant? These thoughts spin through your head, and even after choosing, we still wonder if we got it right. 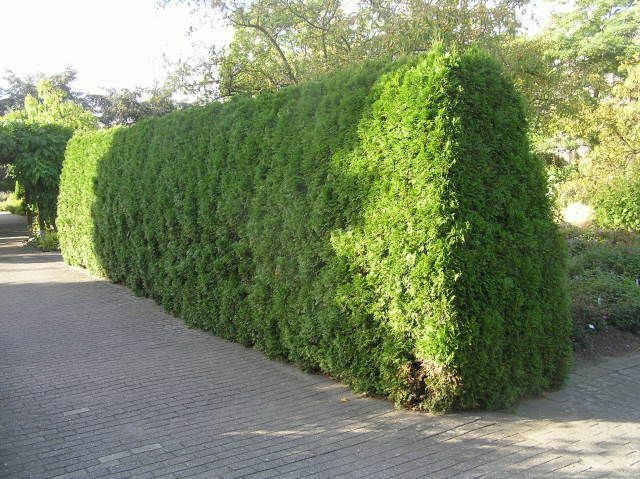 Let’s take that load off your brain, and give you some solid reasons why, for most locations, Thuja Green Giant is the plant to choose when you are replacing an old hedge, or planning a new one. It’s a busy world, and no one wants to wait forever. It makes a lot of sense to choose the plant that will give you a hedge as soon as possible. Thuja Green Giant is it. Don’t take my word for it, listen to the experts. In trials at the University of Arkansas, they planted several small plants of all the popular hedging plants, in a field. They didn’t do much, just kept the weeds down and watered a little in the early years. After 7 years, the Thuja Green Giants were head and shoulders above all the competition, and they were 10 feet tall and 5 feet wide. 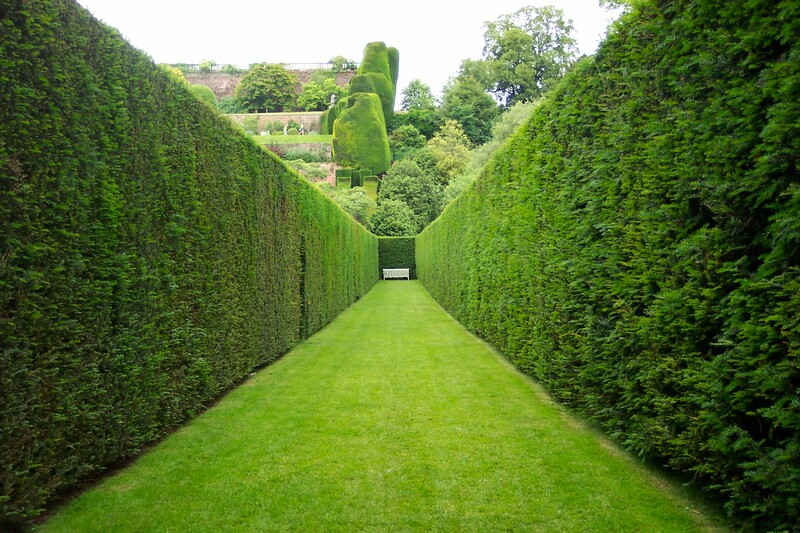 That is a solid hedge – imagine in you had planted at the recommended spacing of 3 feet apart. Now other sites will claim 3, 4 and even 5 feet of growth a year, but they don’t have the figures to prove it – it’s a hollow claim. Young plants can have spurts, especially in ideal soil, with good watering and a top fertilizer program. A year with 3 feet of growth is not only possible, but reasonably achievable. But those profs at the University did the work, and showed us that over the long haul, you can expect a solid 15 inches a year, and 24 inches in a good year. The important thing is that this is faster than any other evergreen around. Period. Nothing more to say. So if you want fast growth, choose Thuja Green Giant. Deer are funny animals. There is no guarantee that they won’t eat your socks if you take them off. When they are hungry enough they will eat anything at all. So there are reports out there that deer have eaten Thuja Green Giant. But there are not many, and the vast majority of people who have grown this terrific plant agree that it is deer-resistant. It is up there with spruce and fir on a deer’s ‘eat this only if you are really starving’ list. Unlike other kinds of arborvitae, like white cedar, that are top of the ‘yummy’ list, and are a magnet for deer anywhere. Since they will, at worse, take just a nibble and then move on, with its fast growth rate, you won’t even notice after a month of recovery in the spring. So say ‘goodbye’ to worrying about deer and your Green Giant hedge. You have seen the list – sandy-loam, loamy-sand, sandy-loam-clay, silty-clay. It goes on and on, but those soil scientists need a thorough system to do their job. If you grow Thuja Green Giant, however, you don’t. You don’t need to worry at all about that complex stuff. Just ask yourself – is the spot I am thinking of always wet? If the answer is ‘No’, then go ahead and plant. Of all the evergreens, Thuja Green Giant is the most versatile when it comes to soil. It really is not fussy, and will grow in most types of soil, from sand to clay. It just won’t grow in a swamp. If that is what you have, I recommend Swamp Cypress – seriously. For everyone else, there is Thuja Green Giant. The secret to getting plants to do well in all kinds of soil is to add organic material when you prepare the planting area. It doesn’t matter much what you use – home-made compost, rotted manure, rotted leaves, peat-moss, whatever you have, just use it. 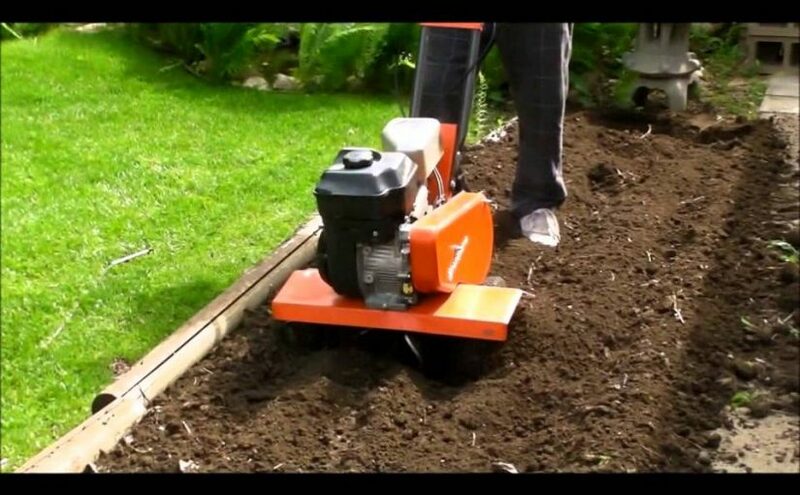 Spread a thick layer, at least 2 inches deep, and rototill it well into the ground, going as deep as you can. This will get your plants off to a flying start in any soil at all. Thuja Green Giant is a plant that clips beautifully, and stays green right to the ground. Just what you want for the perfect hedge you are looking for. It isn’t thorny, spiny, or with sharp needles. The more you clip, the denser and denser it becomes. If you trim regularly, so that you just take off a couple of inches, you don’t even need to clean up – just sweep or blow the clippings back under the hedge. They will act as the perfect mulch, keeping weeds away, conserving water, and slowly adding nutrients as they decompose. There is just one tip on clipping this plant. Make sure you slope the side inwards just a little. Keep it flat, like a wall, but lean the wall inwards a few degrees. This will not even show, but it will keep the lowest branches growing strongly, so that you have foliage right to the ground. This will also keep the top narrower, so that snow and freezing rain won’t get in there and break it down. Actually, I lied. There is a second tip – and that is to start clipping as soon as your plants start to grow. Just a little, even an inch will do it. Clipping from an early age encourages dense branching, and gives you the best looking mature hedge. Compared to other fast-growing hedging plants, Thuja Green Giant resists all the important plant pests and diseases. Leyland Cypress is another fast-growing hedging plant that is very popular. But in many areas it is susceptible to branch canker and dieback caused by some nasty fungal diseases. This can really play havoc with your hedging, and the good news is that these diseases do not bother Thuja Green Giant. There have been reports that, like other arborvitae, this tree is popular with bag-worms, and that seems to be true. But this pest is minor, and it advertises its presence, with a small ‘bag’ made of needles and webbing. If you keep an eye on your plants in early spring, and remove any bags you find, then you will not have problems with this pest. Since the females can’t fly, they spread slowly, and once you are free of them, you will probably stay that way. Other than that, there is really nothing else that will threaten your beautiful hedge. We have seen five good reasons why you are making the right choice when you choose Thuja Green Giant to grow that beautiful hedge you want. It will do a terrific job for you, and you can be sure there is nothing better out there. How Far Apart Do You Plant Thuja Green Giant? This question, on the spacing of Thuja Green Giant, is one that is asked more than any other. No wonder. When it comes to getting the best out of your plants, it is certainly the most important thing you want to get right. Plant too close and your trees will struggle with each other for space, eventually killing the weakest plants and creating gaps. Plant too far apart, and you will be waiting too long for the solid effect you are looking for. It would be great if there was one, single ‘right’ answer, but spacing depends on your purpose, so it varies from one situation to another. To answer the question, we need to consider what it is you are trying to achieve with these plants, and what is best for the plants. So let’s explore in more detail the different issues with spacing, and see what answers we can give to this important question. One of the most popular ways of using this evergreen is for privacy. No one wants to wait years and years for privacy in their garden. A tree that grows 3 to 5 feet in a year makes sense, it will quickly give you the height you want. For a privacy screen, you will not be trimming your trees, or at least not very often, so their growth will be more or less natural. Left alone, this tree will become about 30 feet tall, and about 12 feet wide in 10 or 12 years. For a dense screen, and to allow each plant plenty of room to develop fully, space your trees 5 feet apart. The plants will meet up in just a few years, and privacy will be yours. If you are not in a big hurry, or you don’t need a really dense screen, just some general privacy, you can space them up to 10 feet apart. Any further apart and they will not grow together. An alternative to the basic single row is to use a staggered double row. With this planting, each plant in one row sits in the space between the plants of the other row. Using this method, space the rows 5 feet apart, with the trees 8 to 12 feet apart in the rows. This creates a very dense, full screen, yet it leaves plenty of room for good development of the plants. Hedges come in many sizes, so give some thought to how tall you want it to be. A useful tip is to join some bamboo poles together and have someone hold them up at different heights, while you look at what is hidden below that height when you are at the important places in your garden. You might be surprised at the results. Remember that you don’t want a hedge that is taller than necessary. Tall hedges take more time to clip, and are more difficult to clip, so go with just the minimum height you need. For a hedge you want a closer spacing, as the goal is to have plenty of density to create a flat surface. For a shorter hedge, up to about 8 feet tall, space the plants 3 feet apart in a single row. Again, double row planting will give a very dense hedge, and for that, space the rows 3 feet apart and the plants 5 feet apart. For a taller hedge, increase those distances to 5 feet in a single row, or 8 feet apart in a double row. Keep the rows 3 feet apart for any size hedge, and always line-up the plants in one row in the spaces of the other row. At first glance you might think this is an odd question – surely you just put a specimen wherever you want? If this is a lawn specimen, the you’re correct – just remember to keep it at least 6 feet away from a wall, driveway or path. 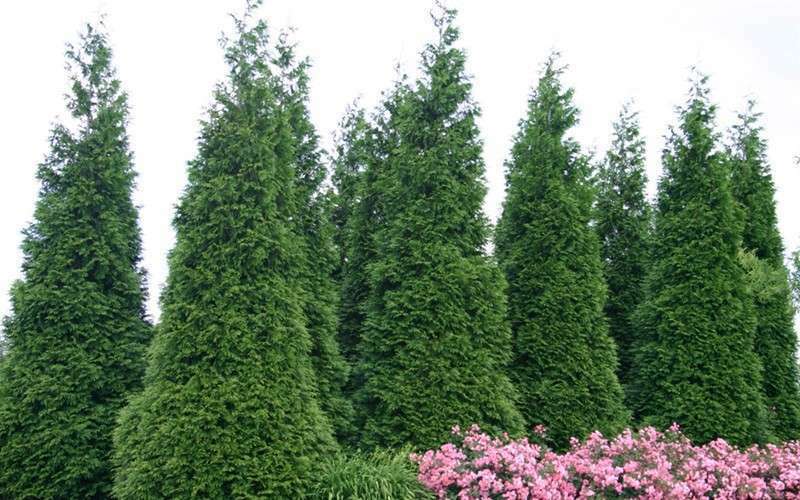 But what if you are planting a Thuja Green Giant among other trees and shrubs? There is a simple rule for this. Take the width of the Green Giant when mature, and add it to the mature width of the tree nearest it. Divide this sum by four, and that is the spacing. For example, if you are putting a Green Giant near a Skip Laurel, we add together 12, the width of the Green Giant, and 28, the width of the Laurel. This gives us 40, which divided by 4 is 10. So we put the two plants 10 feet apart. That was easy! An attractive way to use this plant in a larger garden is in groups. These will fill corners, block something ugly, or screen you from a window. As well, the cluster of beautiful conical trees is an attractive garden feature. We want the plants to be close enough to look like a unit, but far enough apart to stay as separate trees. Unless you want a very formal look, you probably won’t be trimming these trees. To begin, always make clusters of odd numbers of plants. Three trees in a cluster looks great – so does five trees, or even 7 in a large space. Since a mature plant is around 12 feet wide, a spacing of 15 to 18 feet apart will keep that cluster as a unit, but still leave each tree separate from the other ones. Much closer and in a while you will have a big lump. Much further apart and they will look lonely and isolated. Finally, this tree is great for building windbreaks on a large property. A windbreak combines several distinct kinds of trees, both deciduous and evergreen, along with large shrubs, to make a natural barrier to wind, snow and dust. A windbreak creates a natural oasis inside it, with less wind and significantly warmer conditions. Then you can grow your main garden in a protected location. A key component of a windbreak is a row of medium-sized evergreens, that have branches to the ground. This row is placed on the windward side of the break, in front of taller trees. It shelters them as they grow, and they eventually grow up above it. Thuja Green Giant is a great choice for this important row. It is wind-resistant as well as fast-growing, so it soon does its job. Planted this way, we want the trees to just touch at maturity, so between 10 and 12 feet apart does the job perfectly. You can see that there is no single spacing for every use of this fabulous tree. Think about what you are growing it for, and choose the best spacing for the job you want done. Thuja Green Giant won’t let you down. 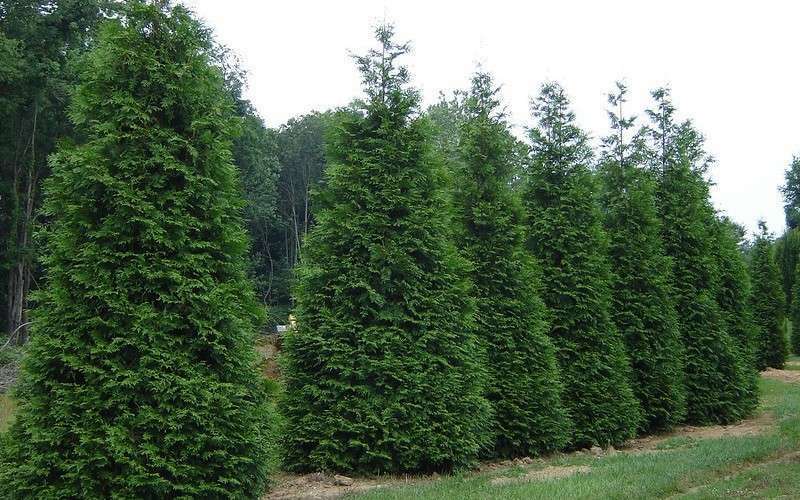 Everyone knows Thuja Green Giant as a hedging or screening plant – probably the best choice around. But evergreens have many other uses in the garden, and one popular use for them is as potted trees. These green specimens are perfect for the corners of a patio, on either side of an entrance, or lined up along a walkway. With the right choice of pot, they will enhance almost any garden style. 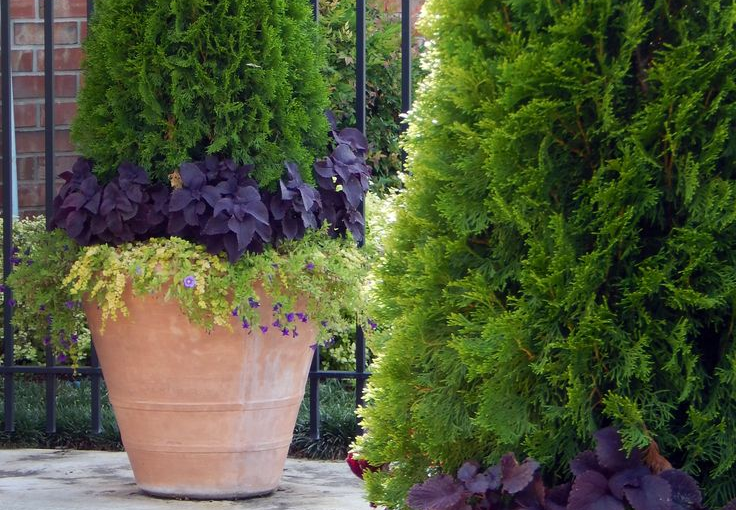 Italian terracotta pots look perfect in a formal garden. Modern concrete ones bring to life the most modernist and minimalist designs. Big half-barrels look perfect in a country garden. Yew trees are popular choices for this purpose, but they are slow-growing, and take years to develop good form. Laurel are sometimes used, but trimming has to be carefully done, as the large leaves look unattractive with cut ends. For a plant that will mature in just a few years, is easy to clip into a variety of forms, grows large enough to make substantial specimens, and survives cold and drought, with never a pest in sight, it is hard to go past Thuja Green Giant. Always bright green no matter what the season, and quickly developing a tight, dense structure with clipping, this great plant can stand tall in any garden as a beautiful potted tree. Drainage – make sure the pot you choose, whatever its design or the material it is made from, has at least one large drainage hole in it. For large pots two or three holes is ideal. If you find the perfect pot, but it has no drainage, then it is possible to drill out suitable holes. Wooden barrels are of course no problem, but concrete and terracotta can be tricky. Use a slow-drill speed, and turn off the hammer action. Use a masonry bit and trickle water onto the hole as you go. Drill a guide hole with a narrow diameter drill, and finish with a larger one. If you can, drilling from the inside while the pot is bedded on some sand will reduce vibrations and prevent cracking. Take your time, especially towards the end, to avoid shattering, and you will soon have perfect drainage in any container. Material – choose something durable. There are some attractive plastic or fiber-glass pots available, but if these are very light you may find tall plants blowing over. Place a couple of large stones or bricks in the bottom to add weight if you use a container like that. Terracotta is an excellent choice, as it ‘breathes’, and by losing water through its surface draws air into the soil. This is ideal for vigorous trees like Thuja Green Giant, and for long-term growing. Size – Thuja Green Giant is suitable for creating larger potted plants – 6 feet or taller. You need a container large enough to hold such a plant, so choose something that is between 18 and 24 inches in diameter, and about the same depth. In pots of this size your trees will live for years happily, as long as you water and feed them correctly. Soil – Never use garden soil for potting. It is too dense, and holds too much water. Instead, use soils designed for outdoor planters, which are often available at garden centers and hardware stores. If you can’t find one, then use regular houseplant potting soil and add 15 or 20% composted bark, or shredded bark, like that used for mulch. This will open up the soil so it drains well, and also reduce shrinkage. Some gardeners add a little garden soil too – perhaps 10 or 15% – which helps the soil last longer and adds stable nutrients. This is not essential, but if your garden soil is rich and fertile, adding a little is worthwhile. Thuja Green Giant is almost as easy to care for in a container as it is in the ground. A little attention will go a long way to keep your plants in top condition and looking their best. Watering – this of course is the most basic attention needed. The rule is simple – water only when the top few inches are dry, and always water thoroughly until a little water flows out of the drainage hole. That’s it. Simple. In hot weather this might be every few days, while in the winter, waterings could be a couple of weeks apart. Let the soil tell you what to do, and never just give a small amount. Fertilizer – the big difference between plants in pots and those in the garden is in fertilizing. Potted plants should be fertilized regularly, and a liquid fertilizer is best. You can also use slow-release granules sprinkled over the top of the soil. These release some nutrients every time you water, and one application can last all season. Whatever you use, follow the directions carefully. The season for fertilizing runs from early spring to early fall, and use a product designed for evergreens, such as a hedge food. Pests – the simple answer here is that you almost certainly won’t have any if you are growing Thuja Green Giant. It is such a tough plant that insects and diseases leave it alone. The wonderful thing about using this plant for containers is how quickly it will grow into the shape you want. You can create any simple geometrical form easily – straight or tapering columns – round or square; pyramids; large balls; or whatever your imagination suggests. The ‘secret’ to trimming is to trim off small amounts at a time, and do it regularly. While a big hedge can perhaps be left for a while, and will quickly recover from a hard trimming, you want your potted trees to look their best at all time, so ‘little and often’ is the key. This will create beautiful green surfaces of dense foliage, and give you the look you want. Always use sharp tools, and remember that hand-shears will give you the best control with something relatively small like a potted tree. If you have been looking for suitable evergreens for large containers, to decorate your garden, or for a courtyard or terrace, Thuja Green Giant might not have been your first thought. But such a fast-growing plant is ideal for this, because it will very quickly develop into the shape you want – much more quickly than other evergreens will. Because it is in a pot, once established it will slow in growth, so you can easily keep it the shape and size you want. For the perfect all-year-round green column, it should be your first choice. Evergreens should be just that – ever green. That means a stable, solid green color all year round. Yet for many evergreens that is simply not true, and many of these plants turn unattractive bronze or brownish colors for months of the winter, only returning to a healthy green color once spring is well underway. This is hardly what we want in our gardens. Most of us plant evergreens expecting to create a dense, permanent green background for our garden, not have a nasty brown one just when other plants are sleeping, leaving the evergreens as the most prominent plants in the garden. There are several reasons why we see these brown colors on many of our evergreens in winter. In its extreme forms this condition is not temporary, but permanent, and results in the death of the brown branches. The cause of this condition is the inability of the plant to supply enough water to the foliage. Since these plants keep green leaves in winter, those leaves continue to lose water, when other plants are protected from this because they dropped their leaves for the winter. Plants have a coating on the leaves, called the cuticle, which varies in thickness from one species of plant to another, depending on how dry an environment they normally live in. In plants that grow naturally in dry places we see that they have a thick cuticle, which allows very little water to evaporate from the leaves. Plants from damper places usually have thinner cuticles. We also see thicker cuticles in evergreens from cold areas, for the following reason. In winter the air is often very dry, and the winds can be strong. These cold, dry winds speed up the rate of evaporation of water from green leaves. That water must be replaced by water drawn from the soil by the plant’s roots. But here is where the problem starts. If the soil around the roots is frozen, then the water in it will be ice, not liquid. So the roots cannot draw that water up. Rather like sucking on an ice cube, it is hard to get much water from it. We have the advantage that the ice soon melts in our warm mouths, which of course plant roots can’t do, so they cannot get at the water at all. As a result, a deficit develops in the plant, with it unable to draw enough water to keep the leaves moist. They dry out, turning brown, and then in spring, with the warmer weather, die completely. This is especially a problem with young, newly-planted trees, because the roots only have access to a limited volume of soil, while established plants have roots going deeper down, where there is soil that has not frozen hard. What Is ‘Winter Burn’ on Evergreens? When our evergreens turn brownish in winter from this lack of water, gardeners call it ‘winter burn’. When severe it leads to the death of the foliage, or sometimes the whole plant. We can protect our newly planted evergreens from winter burn by watering them deeply shortly before freeze-up, and also by mulching. The heavy watering leaves some water un-frozen in the soil, and that is available for the plants. The mulch reduces heat loss from the soil, keeping it warmer and partially or completely preventing freezing. That is why both of these strategies are recommended for the first couple of winters with newly-planted evergreens, even with such tough plants as Thuja Green Giant. There is though, another kind of winter burn. This is when the foliage turns a bronzy-brown color, but doesn’t die, and naturally turns green again when the spring returns. This is a reaction of the plant to low temperatures, usually below zero degrees Fahrenheit. The extent to which a plant will do this varies between species, and even between individual plants. Several Thuja plants will do this, such as the Eastern White Cedar, Thuja occidentalis. Wild plants of this tree often turn bronze in winter, even though the plant is hardy to minus 50 degrees. The leaves will turn bronze and brown, and then become green again in spring. This is a natural defense against cold. The color comes from chemicals that accumulate in the leaves to protect it them from drying out. Not all individual plants of this species will do this, and the Emerald Green Arborvitae, a popular hedging plant in colder parts of the country, was specially selected partly because it stayed green in winter, and didn’t bronze. If you live in colder places, this is the ideal hedging plant, exactly because it will give you a great green background to your garden all winter long. Perhaps the reason this plant stays green is because it has a thicker cuticle on the leaves, and so doesn’t need those bronzing chemicals to protect it from drying out. Another Thuja plant that will not turn bronze in the winter is Thuja Green Giant. Although not as hardy as Emerald Green Arborvitae, it is the number one hedging and screening choice all across milder areas. This vigorous hybrid plant is hardy all through zone 5, where winter temperatures can fall to minus 20 (Fahrenheit) – plenty cold enough to bring about bronzing in a wide range of evergreens. Thuja Green Giant will stay a beautiful green color through all freezing weather, bringing all-year-green to your garden. The only time you may see bronzing in this plant is if it is water stressed. This is seen in younger plants, especially in the first year after planting. Plants may green up again in spring, but if you have neglected them you may find some dead branches too. 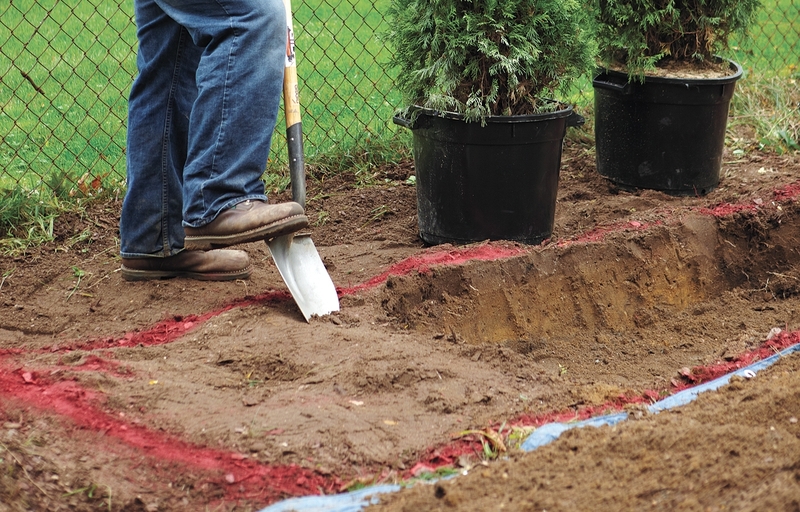 The best protection is the methods we looked to earlier – deep watering just before freeze-up, and mulching. So if you have planted new Thuja Green Giant this summer or fall, or perhaps even if you planted them last year, late fall is a good time to take care of these simple tasks. You can apply mulch at any time, so this should be your first job. Ideally, use a rich organic material, like compost, rotted leaves or manure, that will improve the soil and feed your plants as well as preventing water loss. If not, then bark chips, shredded wood, gravel or pebbles will all reduce water loss. The deep watering is best done a couple of times in the fall, so that can be done almost any time too. 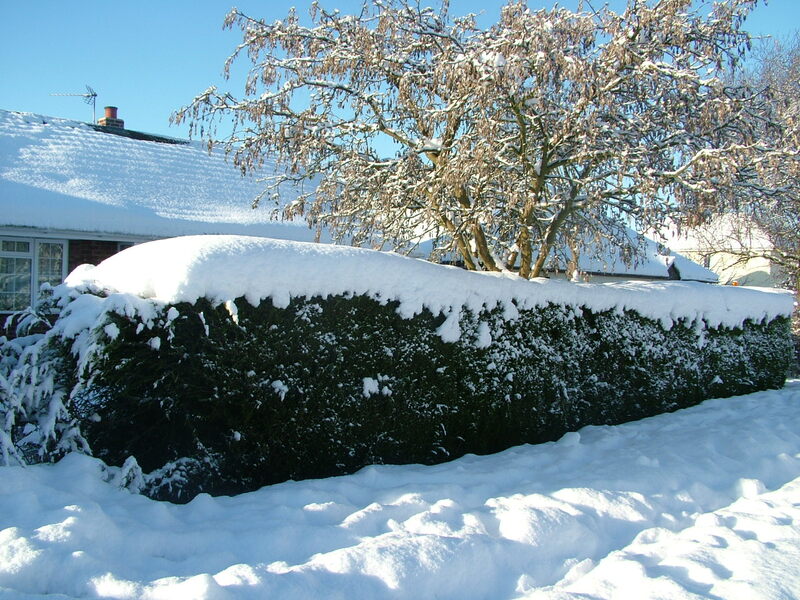 Smart gardeners keep an eye on the weather forecast, and when the first really cold nights, with temperatures well below freezing, are predicted they pull out the hose and give their hedge one last deep watering, before packing up for the winter. Once your plants are well-established, these precautions are not necessary, although they never hurt. Thuja Green Giant is one evergreen that is virtually guaranteed to give you a beautiful rich-green backdrop to your garden 365 days of the year. This is just another reason why this plant remains the number one hedging and screening choice across the country. Anyone who has planted Thuja Green Giant, or seen its rapid growth, even in difficult conditions, will have realized what a remarkable plant this is. Many will have asked themselves why this would be – what makes this plant stand out among so many others? The reason lies in the origins, and genetic nature of this plant, so to understand it more, and see why it is that such a plant can exist, let’s look at the whole concept of hybrids and why so many of them have such special properties. A common mistake is to call these plants ‘High-bred’, thinking that the word means they have been bred in special ways to a certain high point – rather like the way we breed racehorses or prize-winning dogs. Although this certainly gets at the value of these plants, it does not accurately reflect how they have been created. A hybrid plant is one with parents that are two different species. They usually share the same ‘first’, or genus name, but the ‘second’, or species name is different. For Thuja Green Giant, one parent is Western Redcedar, called by botanists Thuja plicata. 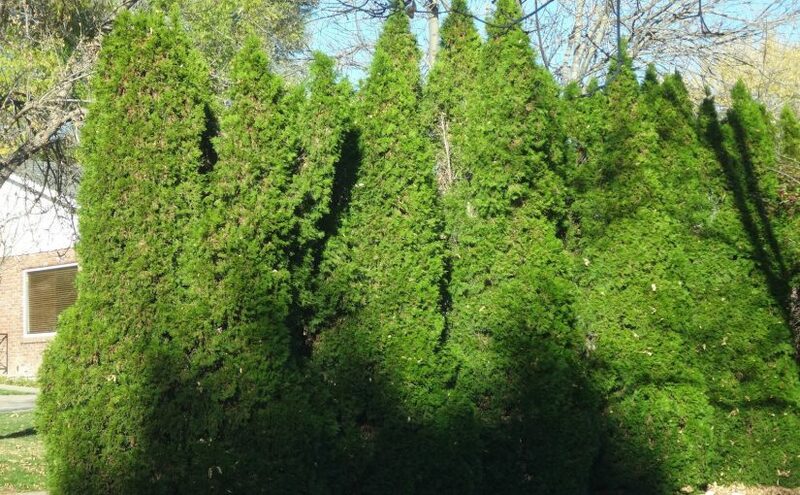 The second parent is Japanese Arborvitae, called Thuja standishii. Notice that the first name is the same for both of these plants, but the second, species name, is different. This is common for all hybrid plants – crosses between a plant from one genus with a plant from another are very rare indeed. Western Redcedar is a close relative of the White Cedar (Thuja occidentalis), which is also known as Eastern Arborvitae. Together these plants grow from one side of North America to the other, fromhe Pacific to the Atlantic. While White Cedar grows no more than 50 feet tall, and usually a lot less, Western Redcedar can grow to 200 feet, and it easily forms a tall tree. It is a relatively fast-growing tree, adding as much as two feet to its height each year when young. Japanese Thuja, also called Japanese Arborvitae, grows high in the mountains of Japan, but it is only rarely grown in gardens. It grows between 60 and 100 feet tall, and looks a lot like Western Redcedar. Notice that these two plants grow thousands of miles apart – 4,700 miles to be precise. There is absolutely no chance that they could ever naturally meet, and breed. So when they were grown near each other, as happened in a nursery in Denmark back in 1937, there was nothing to stop them crossing, and a seedling growing from that event. The resulting plant, which was spotted by the nursery owners and put aside as something interesting, took another 60 years to be seriously noticed, and analyzed. Using modern DNA analysis, scientists at the National Arboretum were able to establish that this interesting Thuja really was a true hybrid between those two parent plants, coming from opposite sides of the Pacific Ocean. What is remarkable about Thuja Green Giant is that it is tougher and faster growing that either parent. This is possible because as most people know, genes come in pairs (well, when did you see a pair of Levis with just one leg?). Over time, some bad genes accumulate in plants, slowing down their growth, and making them more susceptible to pests and diseases. If these bad genes are just one of the pair, then that is usually OK. It is when they become both parts of the pair that problems develop. When individual plants continue to cross within one species for thousands of years, it is inevitable that some bad genes will become ‘normal’ among some of the thousands of gene pairs. However, when hybrids happen, a good gene from one plant replaces one of the bad genes, and each pair gets a new good gene – hiding the effect of the bad ones. So the hybrid plant has lots and lots of great genes, and the bad ones don’t show – the plant can really give its full potential. Since each plant will have its own, unique, bad genes, they will usually be different from the bad ones in the other plant. So each parent gives strong good genes to the hybrid plant, and they ‘mask’ the bad ones of the other parent. Plant breeders have known about this for a very long time, because they have seen it happen with corn, food plants, and many other plants too. So while we may be surprised at the vigor and growth-rate of Thuja Green Giant, experienced plant breeders aren’t. They know the virtues of hybrid vigor when they see it. We only have to notice the growth rate of this remarkable hybrid to see hybrid vigor at work. While the parent plants grow at the very most 2 feet a year, Thuja Green Giant easily manages 3 feet or more – 50% faster – with very little trouble. Even faster rates have been recorded in young plants, so we can safely say the hybrid vigor doubles the growth rate. That is just a beginning. While both parent plants are a bit ‘fussy’ about where they grow, Thuja Green Giant grows well in all kinds of soils, be they sand or clay, wet or dry. So strong is the hybrid vigor effect, that we have here a plant the will outgrow any other conifer on the planet, and produce a long-lived, hardy tree that is pest and disease resistant too. Even deer stay away. So when you are thinking about hedging plants, you hardly need to think further than Thuja Green Giant. Hybrid vigor really works, and this plant is living proof of that.